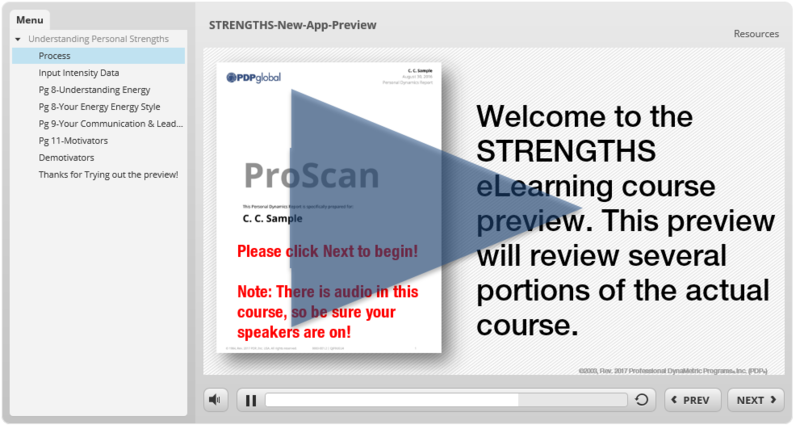 In recent months, we introduced a workbook-less PowerApp course using the Personal Strengths Report. The reviews of this innovative course have been excellent! Now, it is even better due to the upgraded reporting in PDPworks 4.0, which now includes Leadership, Communication, Back-Up styles and Learned Responses in Section 1. This new interactive experience allows learners to progress through their report on their own. Clients have found it a great vehicle for scaling the use of PDP and its benefits throughout their organization and it works great as part of an Enterprise Bundle, which we will discuss in a future post. The best way to see this eLearning course in action is to experience the first hand. Check out a portion of it below!